He was a little slower than the others, his shots rarely went in the basket, and even on an intramural court, he didn't display much athletic ability. Then I saw him, one of Ozark's most talented basketball players. He walked up to this young man and with a grin and some quick words of encouragement, brought a smile that did not quickly fade away. 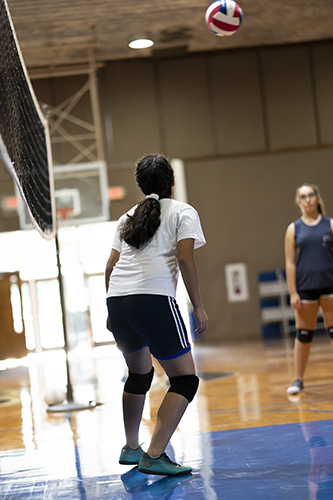 At Ozark Adventist Academy our athletic program is not just about winning and losing. It's about instilling in each student-athlete Christian character. That on any court and wherever God shall call them, they will be a blessing and encouragement to others. Online Payments - you may make varsity payments online. New this school year, Ozark has started a Lady Skyhawks Varsity Volleyball team. This season's games will take place during the first half of the fall 2018 semester. The Ozark Lady Skyhawks Varsity Volleyball Team played its second game against Thaden in Bentonville on September 11th. This photo gallery contains an assortment of images from the game and from their pre-game warm up. On September 4, 2018, Ozark's varsity volleyball team traveled to Centerton to play their first game against the Lifeway Warriors. Ozark Adventist Academy Skyhawk basketball games are scheduled during the second half of the Fall 2018 and the first half of the Spring 2019 semesters. Ozark has a Varsity and a Junior Varsity Skyhawk team for young men and a Varsity and a Junior Varsity Ladyhawk team for young women. 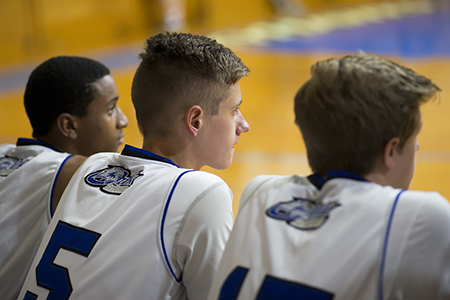 In addition to their regular season games, the Skyhawk and Ladyhawk teams participate in the Ozark Hoops Festival on Ozark's campus, the SWAU Basketball Tournament at Southwestern Adventist University, and the Andrews' University Basketball Tournament in Berrien Springs, Michigan. Pele, a Brazilian soccer player, once said, "Success is no accident. It is hard work, perseverance, learning, studying, sacrifice and most of all, love of what you are doing or learning to do." Like Pele, quite a few students at Ozark love playing soccer. Due to requests by multiple students, Ozark now has a varsity soccer team. 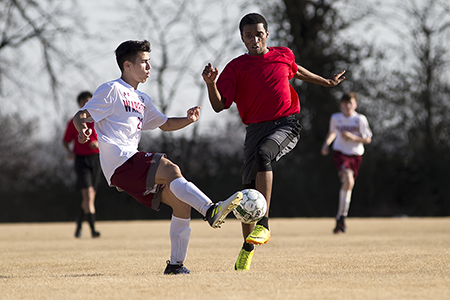 Started during the 2017-2018 school year, the Ozark Adventist Academy Skyhawk Soccer Team is now entering into its second season. Games will be scheduled during the second half of the Spring 2019 semester. Images from the Ozark Adventist Academy Skyhawks vs. the Lifeway Christian Warriors played on March 15th, 2018 in Centerton, AR.